Okay, okay. I “should” have used Ether or Bitcoin a long time ago… but I didn’t need to. My clients were happy to pay me in fiat, I was happy to get paid in fiat, I’m not a crypto investor or a trader, I never used any dark onion-based eCommerce websites when I was growing up and I’d never come across a DApp that I wanted to use, so I didn’t have any cryptocurrency of any kind. 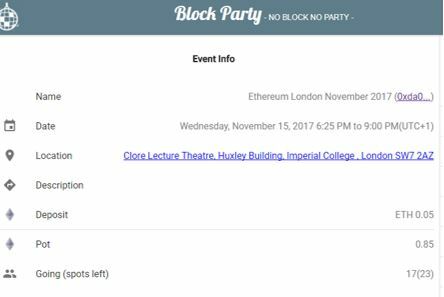 I want to go to the event and see what these guys have to say… but I’ve been on the waitlist for about 2 weeks, and I really want to go, so when I saw that there is a way to join a “priority waitlist” run on a blockchain-based system called BlockParty I decided to go for it. BlockParty – No Block, No Party – my first DApp! BlockParty is a blockchain based application – in this case a DApp – created by Makoto Inoue to try to create a way to ensure that people who sign up to attend an event actually go. Anyone who’s organised an event before knows what it’s like, you never get 100% turn out – whenever I have run events in the past I’ve always counted on people dropping out at the last minute, so I can see there’s a real benefit here. 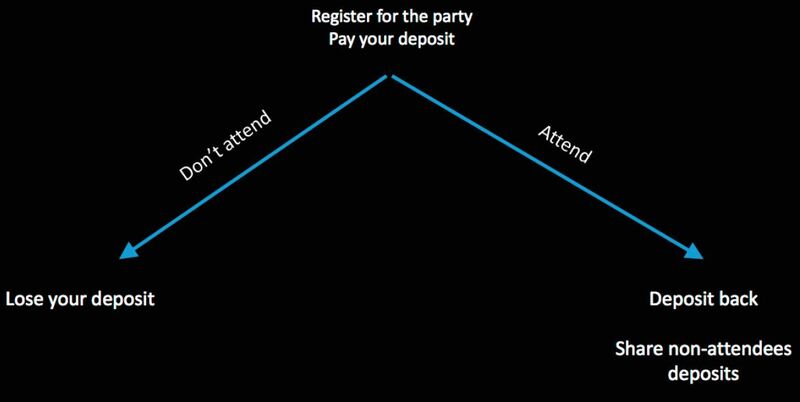 The BlockParty app works like this, you pay a small fee as a deposit, if you don’t turn up you lose your deposit, but if you do turn up, you get back your deposit, and you also get an equal percentage share of all the non-attendees deposits. Essentially its a way for event organisers to improve attendance, and for attendees to get a little reward for doing what they said they would. So I decided to sign up and give it a go. The user guide made it all look easy – I needed a way to pay my deposit and I needed some ETH, to pay with. Metamask allows people to use pay to use Ethereum based applications through your Chrome browser. 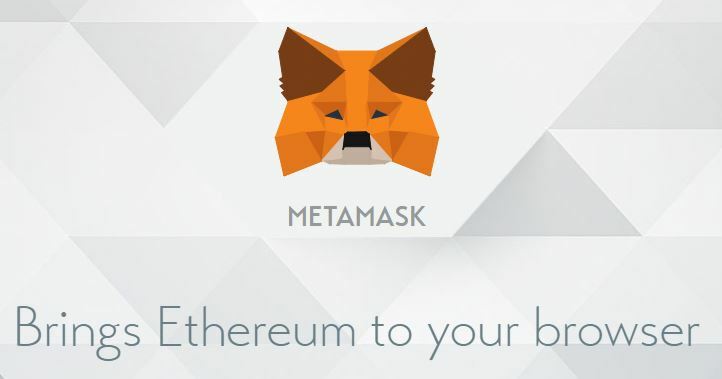 I guess if the new value economy takes off and we all end up using tokens to use our favourite apps as a fact of daily life, then something like Metamask is going to be pretty useful. But how much Ether? I checked, and the deposit required was 0.05 ETH, which works out at about $18 worth. Not insignificant, but not too much, especially if I’d be getting back in 24 hours time. Now I don’t what SEPA is, and the debit card in my wallet is an old fashioned plastic thing with faded numbers and a half-rubbed-off copy of my signature on the back. No 3D gizmos there. Knowing that crypto and national borders don’t often mix, I decided to go elsewhere. So then I tried Kraken, but that was no good, I could login, but I couldn’t for the life of me work out how to move fiat money in and out of the account. Then I tried Bitfinex, which is really a crypto trading platform but it does have a wallet function, but again I couldn’t work out how to use the wallet feature. Then I gave up and called Cryptotrader and asked for his advice on why this was so difficult. We had a nice catch up and he offered to lend me the Ether! Without a better option, I said “Yes please!”. But I still needed a wallet. Crytpotrader was very patient with a now very frustrated Martin, and after giving up on trying to provide user support to Bitfinex, he suggested Exodus. Exodus must be the most simple wallet there is, you download a separate application and without even logging-in, you have a wallet and an address that people can send you money to! It seems a little too easy to be true, but it does work. I didn’t want to take up any more of Cryptotrader’s time, so I decided I’d have to work this one out myself. I needed to use my bank account to buy Ether. 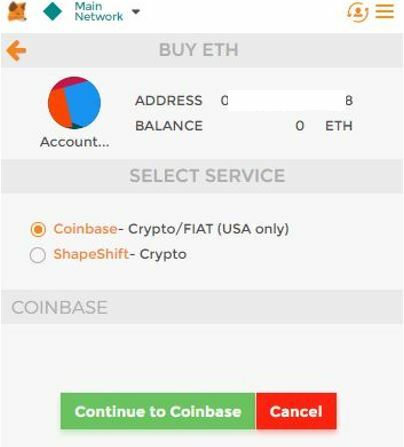 Metamask only takes money from Coinbase and ShapeShift, and ShapeShift won’t take fiat, and Coinbase doesn’t work in the UK. I tried Coinbase again. I like Coinbase. It turns out that Coinbase runs quite happily in the UK, it’s website even says so. I realise that my bank account already is a “3D secure enabled” account – that’s just a funny way of saying it needs 2 step verification via text message to your phone. 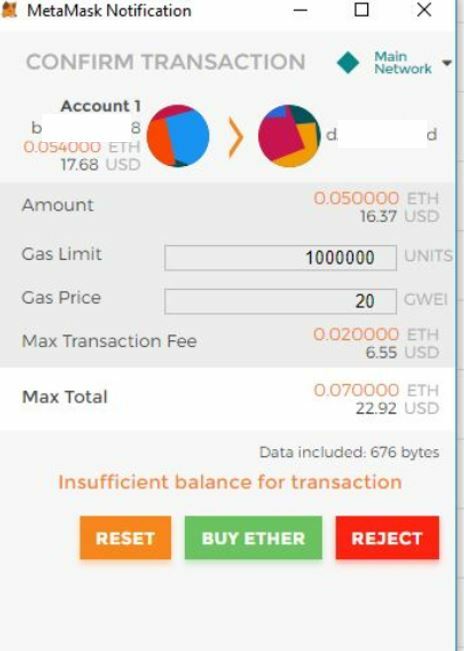 A security heavy-weight account set-up, a login and couple of clicks later and I had bought a small pot of Ether – “beer tokens” that can’t be used to buy beer with. Coinbase is user-friendly, it’s got a nice dashboard for buying and sell cryptocurrencies with, a nice easy to use wallet and I was happy. I loaded up my Metamask with more Ether and was ready to go. Signing up to the “priority waiting list” on BlockParty was pretty straight forwards from this point onwards. The website is pretty simple, Metamask worked a treat, and I have a twitter account which they ask for so I can be found if there are any problems. I paid my deposit and after a short delay my name was added to the list. Tomorrow night I’ll find out if system actually works in practice – and write a follow up post!